I purchased a small live plant at Trader Joes to use on my dining room table for a centerpiece. 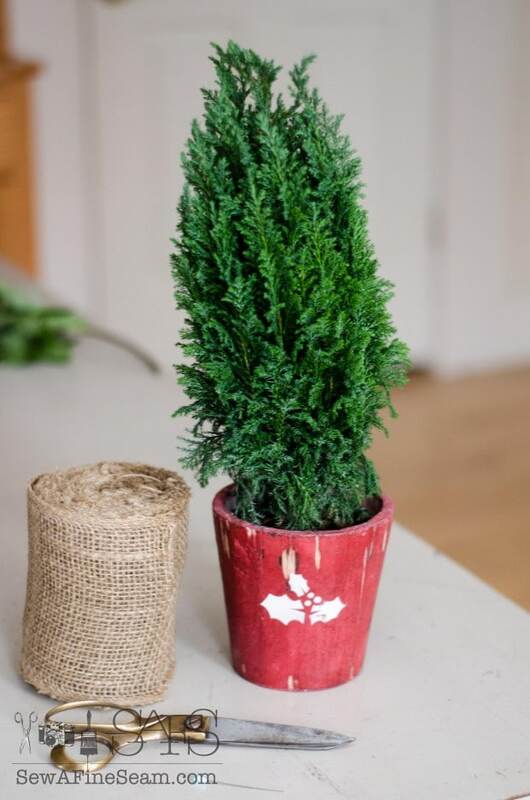 Something small and easy to move when I need to use the table for projects, sewing, painting, or even DINING! 😀 I loved the plant but the container it was in wasn’t my favorite. 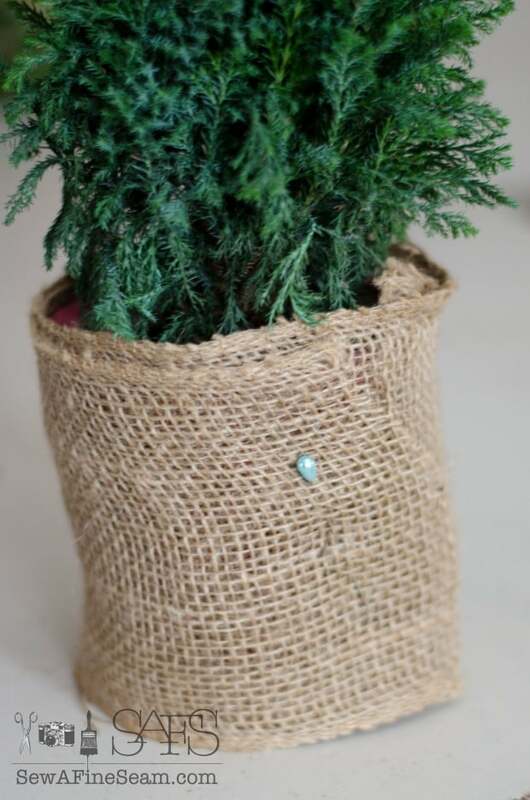 So I did an easy burlap upcycle to make it more my style. 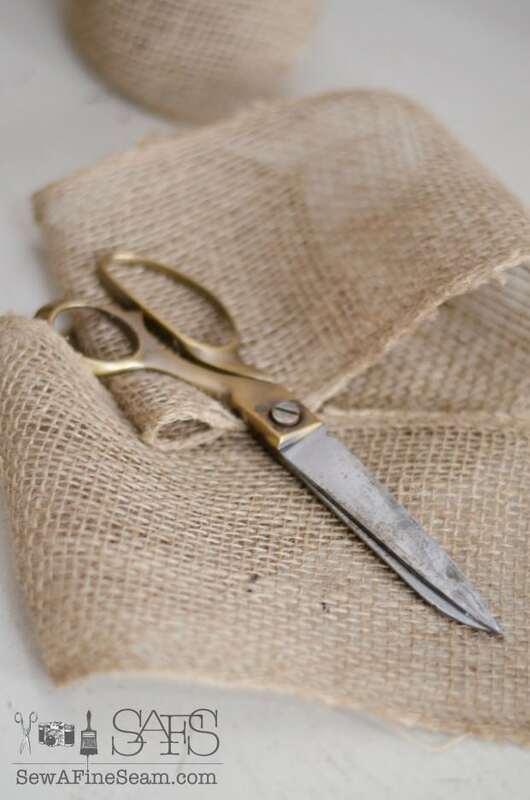 Cut the burlap long enough to wrap around the container twice. Wrapping twice gives it fuller coverage and just looks nicer. 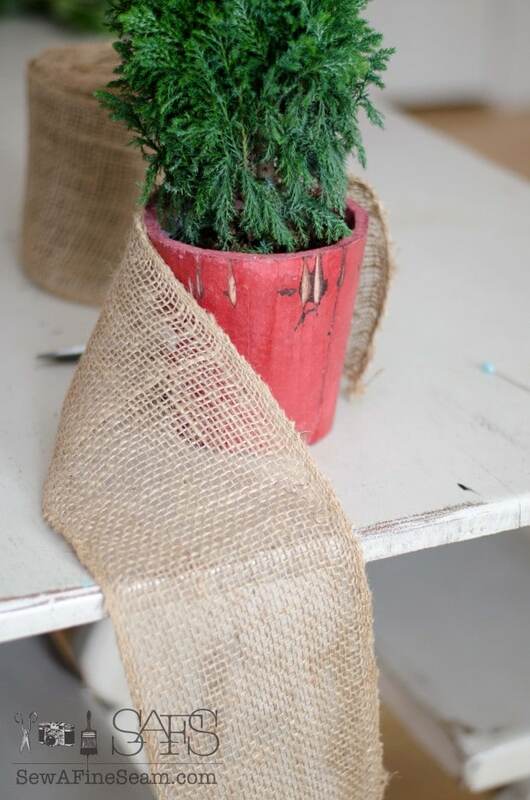 Wrap the container with burlap. 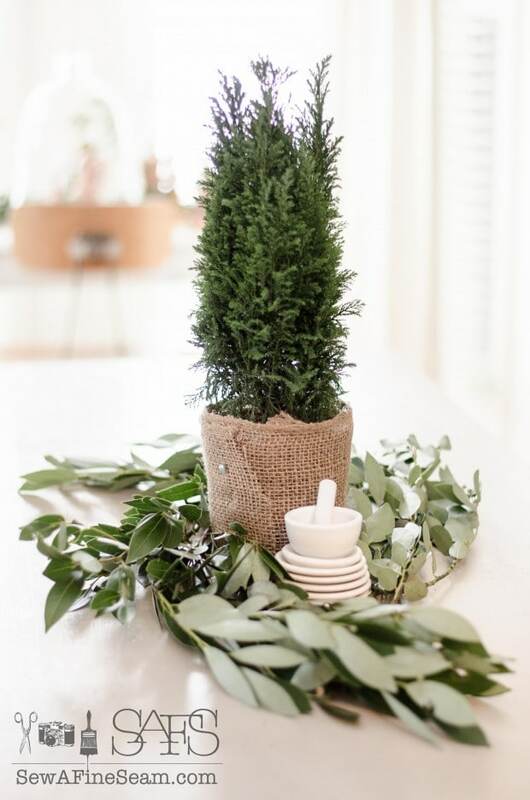 This is a perfect centerpiece all by itself but you can add a few other greens around it and a favorite small if you like. 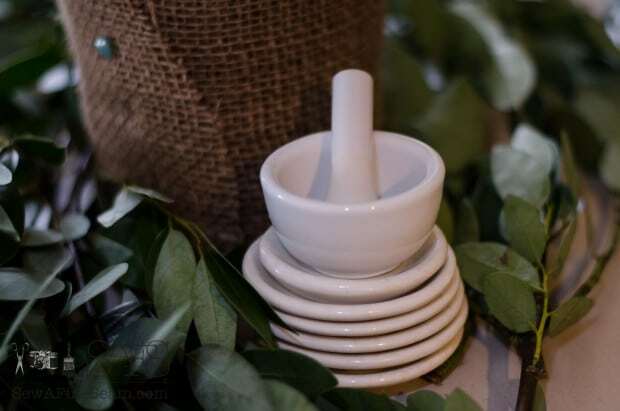 I added a stack of ironstone butter pats and a tiny mortal and pestle. 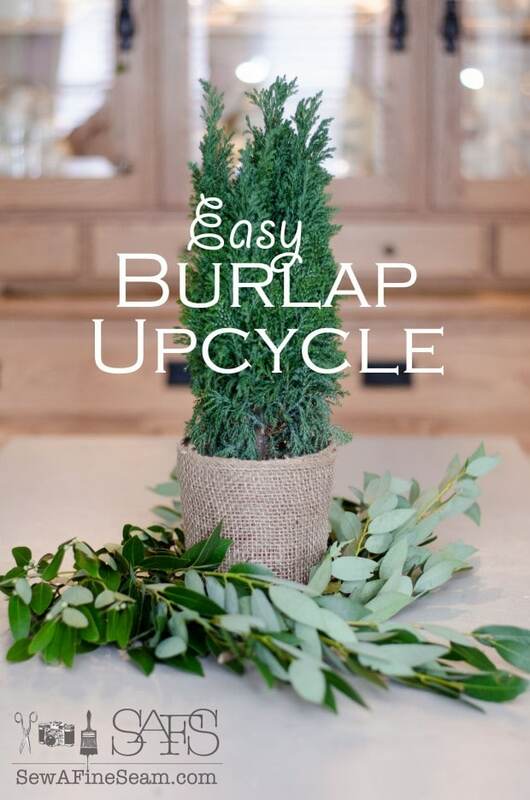 Easy project upcycle that has a big impact! Happy crafting and creating as the countdown to Christmas continues! Cute idea! Love the ease of it but it certainly makes a big difference in the appearance. Thanks Marisa! 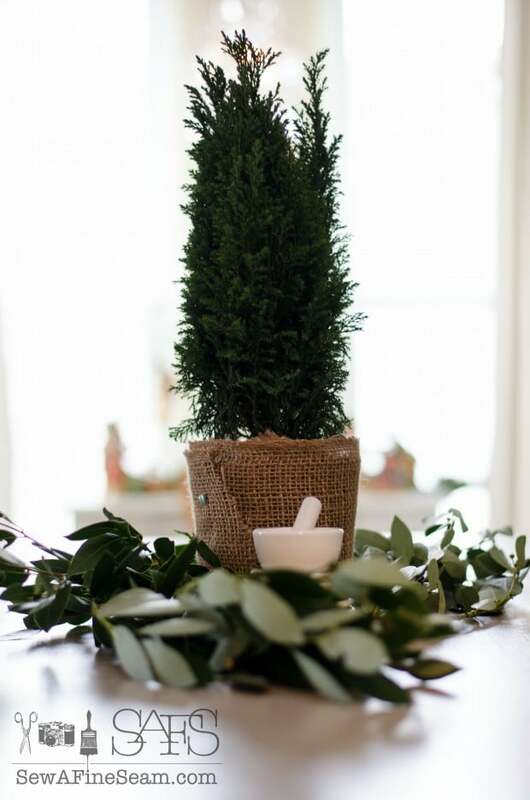 Sometimes the simplest things can have the best impact! Thank you Cathy! It’s super easy but it looks really cute!